Number Sixteen is located in a quiet street right in the heart of South Kensington just minutes away from the V&A, Natural History Museum, and within easy reach of Knightsbridge, so the location couldn’t be better. As a member of the Firmdale Hotels group – which also counts Charlotte Street hotel, the Soho, and the Covent Garden hotel in its stable – style was always going to be a given. 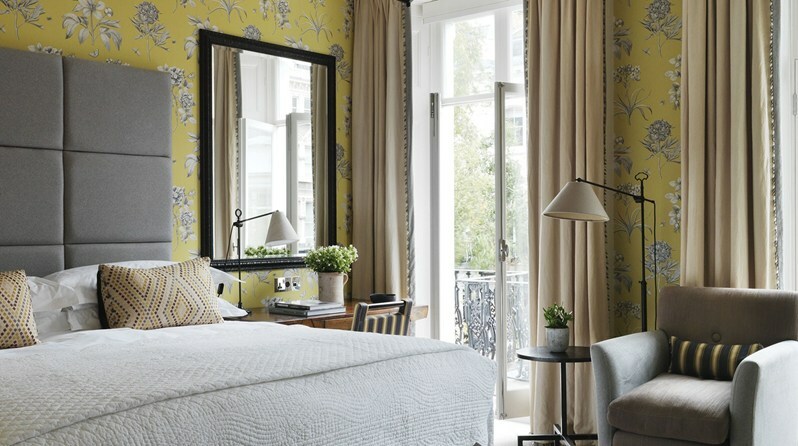 Designer, Kit Kemp, a pioneer of the boutique-hotel concept, has stamped her beautiful fusion of floral prints and monochrome stripes throughout the hotel, littering every space with a glorious mixture of hi-tech and antique. Nowhere is this more gorgeously apparent than in Number Sixteen’s pink-hued drawing room. Each of the 41 bedrooms are individually designed in Kemp’s modern and fresh English style with an emphasis on luxury. All the facilities expected of a deluxe hotel are available, including WiFi, flatscreen TV’s and beautiful writing desks. We stayed in a Deluxe room which comes complete with a huge bathroom stocked full of Rik Rak products, a deep tub, and surrounded by sparkling granite and accents of oak. Rooms overlook either the hotel’s private garden or the white stucco buildings of Sumner Place. Even though our room overlooked the latter, it was still amazingly quiet, but obviously if traffic is a concern, then booking a garden room is the safest bet. 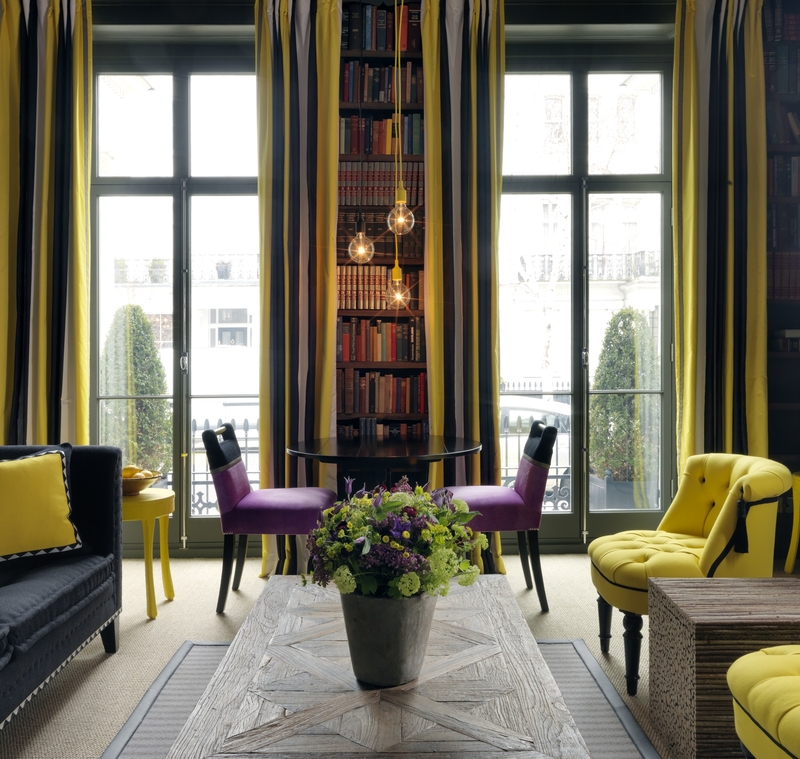 There is also a second beautiful drawing room/library in shades of yellow and grey, but at the time of our stay, this had been changed into a temporary dining space as the hotel’s usual dining room was closed for maintenance. 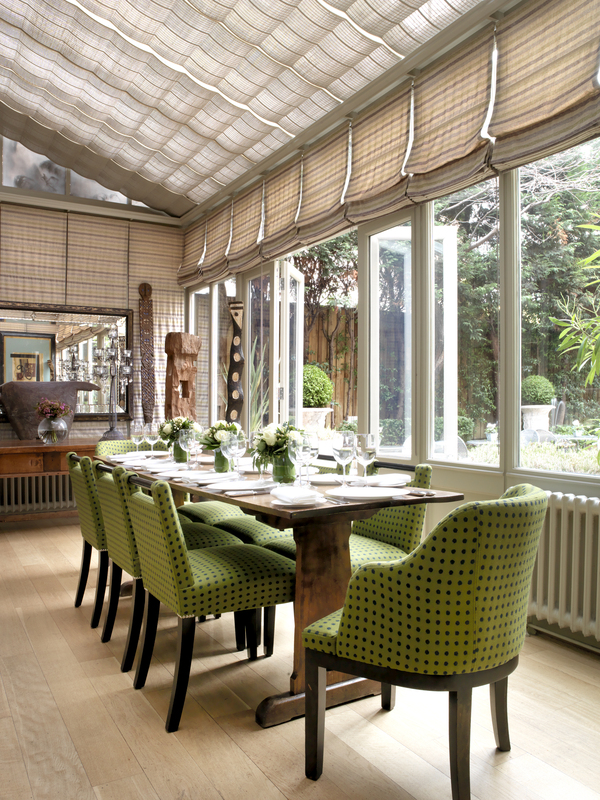 The lovely bright conservatory which leads out into the private garden, is the usual spot for dinner, so we look forward to visiting next time. 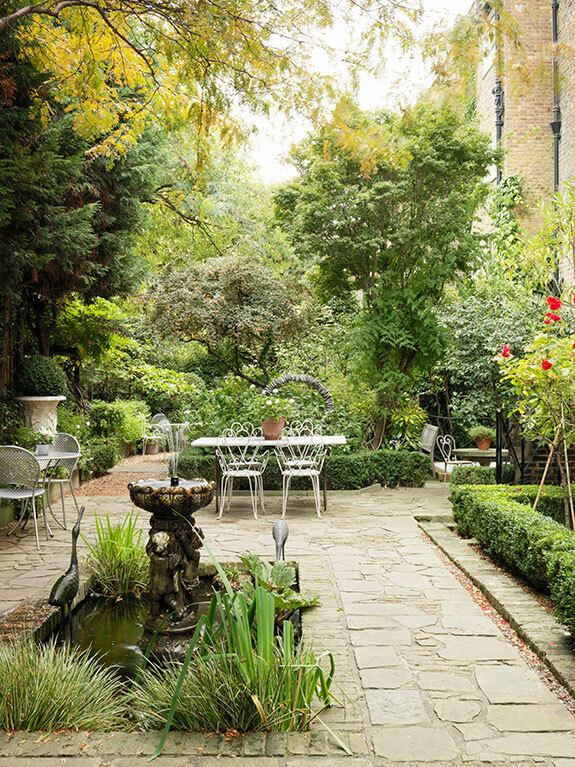 Afternoon Tea is served all day at Number Sixteen, and their enchanting garden is definitely a place to linger on warmer days. Firmdale Hotels have partnered with Temple Spa to provide a unisex range of highly advanced products and treatments created to combat the stresses and strains of everyday life. They offer the very best in anti-ageing skin care, aromatherapy and anti-oxidants, and you can sample any of these treatments in the comfort of your own room. 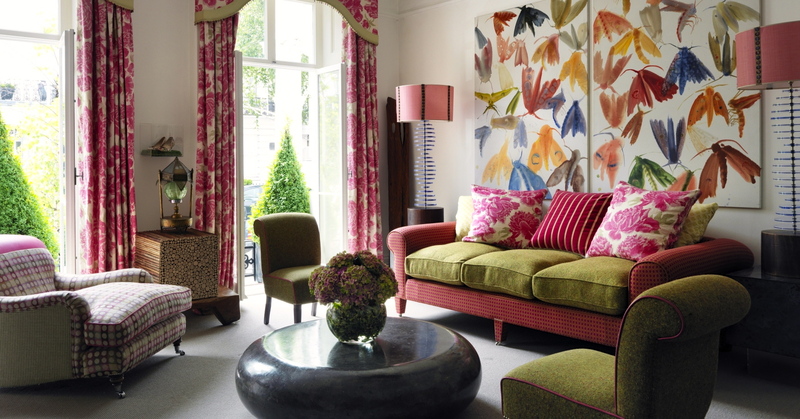 All images by Firmdale Hotels. 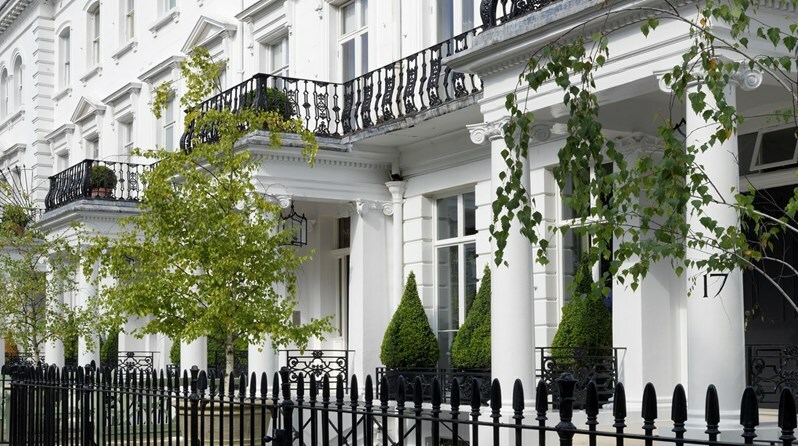 CELLOPHANELAND* was a guest of Firmdale Hotels.